West Ham To Tame Shrews At Second Time Of Asking? Can West Ham Finally See Off League 1 Shrewsbury In This Unwanted FA Cup 3rd Round Replay? It is the game that no-one at the club wanted as West Ham are forced to fit a 3rd round FA Cup replay against Shrewsbury Town into their busy relegation avoidance schedule. Manager David Moyes was critical of his side’s performance in the original tie but having picked a team lacking any guile and making noises suggesting that the cup was a low priority he was equally as guilty as the players. The FA Cup has thrown up many a giant killing act in its illustrious history (several at our own expense) but too often nowadays they are the result of the giant’s lack of appetite than lower league heroics. Shoud West Ham, as expected, progress through to the next round they will face either Bournemouth or Wigan, who replay tomorrow, and so at least West Ham will have a day extra to recover than their weekend opponents. With the 4th round tie scheduled a few days before a home game against Palace it would undoubtedly be another game where caution rules the day. In the circumstances it is easy to understand Moyes’ approach as it will be league results (rather than the cup) that not only determines his West Ham fate but also goes a long way to rebuilding his shattered reputation. Disappointing as it is for the fans (especially those giving up their time and money to attend) that league status is prioritised over a cup run, I do not understand anyone who says that they would trade a relegation for cup success – any gratitude would surely be short lived as rebuilding has to start all over again. Not that competing in cup and league need be mutually exclusive and if West Ham were a half dozen points better off then giving the cup a real go would be worth the risk. That we do not have those points is not the fault of the current manager. 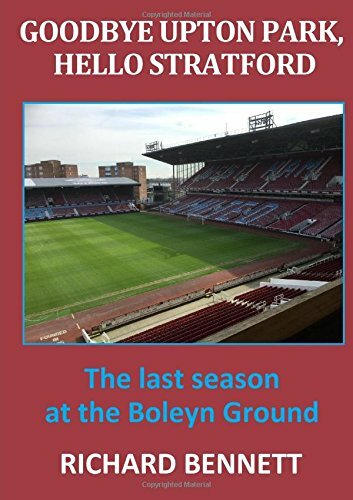 Anyone looking for a precedent can take heart that in two of West Ham’s three previous cup winning seasons they were taken to a replay by a team that should have been beaten – Leyton Orient in 1964 and Swindon in 1975. Perhaps if league recovery is maintained and the 4th round negotiated safely the cup could be taken seriously after all. Since the first game, West Ham romped to a runaway win at Huddersfield while Shrewsbury were well beaten at Blackburn. This may have little relevance to tonight’s clash with Moyes likely to field a weakened side yet again. If that means no Arnautovic and/ or Lanzini as well as the continued absence of Antonio, Carroll, Hernandez and Sakho then it is difficult to see where any goal threat will come from. I am more than happy to see the likes of Burke, Cullen, Oxford and Martinez given another outing but it is folly if not backed up with at least a shot of midfield creativity. Could Hakšabanović be the answer? I believe we will do enough to go through but it won’t be pretty.